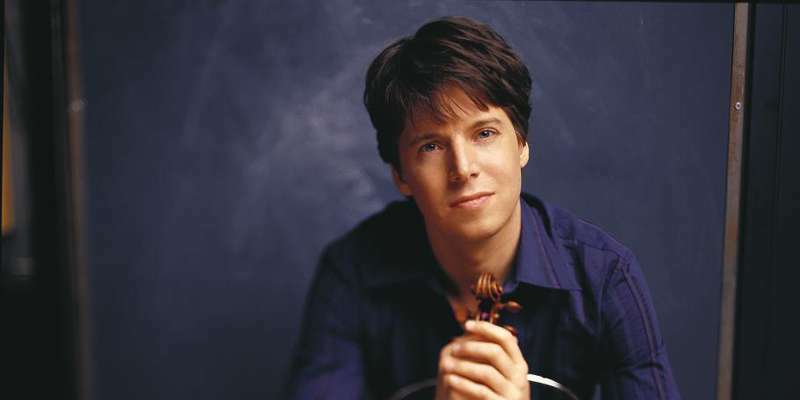 Joshua Bell, an acclaimed classical musician, has always maintained a low profile personal life. But he could not hide his violinist girlfriend (former) Lisa Matricardi from the media. Yes, Bell and Matricardi were in a long-term relationship in the past. This couple even has kids together but they never married. Find out more about Joshua's personal life. Bell and Matricardi dated for many years. There is no distinct information about where and how this couple met, but sources tell us that one of their mutual friends introduced them to one another. Since they both had a common interest in music, they started meeting more than usual and eventually, fell in love. However, a few years later, they broke up but decided to stay good friends. Later, this friend-turned-couple decided to have children on mutual understanding. In 2007, Matricardi gave birth to Bell’s first baby boy. Bell named him Josef Matricardi Bell after the Russian Violinist- Josef Gingold, who is also Bell’s former teacher. Despite having a kid this couple never got married and lived separately. According to Bell, Matricardi thinks that he is not a husband material because of his nomadic lifestyle. But, Bell visits his son Josef and his mother often. They have a very good bond and relationship. Bell accepts that he thinks that having a child without tying the knot has been one of the best decision of his life. He gets to see his son every day but does not have to stress out about anything. Similarly, Matricardi gave birth to Bell’s twin sons in 2010. At present, Bell is a father to three children. But he does not want to get married. He believes that everything is great the way things are. Did you have a chance yet to give "The Man with the Violin" a read? @peacenow did and shared this picture. As we know that Bell is an extremely busy person and would not be able to stay home and give most part of his time to his kids. Had he ever married his former girlfriend then they would have ended up in divorce anyway? Marriage would definitely be a challenge for him as he spends 250 days a year on the road due to his profession. After his separation from Matricardi, he has not dated anyone. Therefore, a lot of people believed that Matricardi was gay. However, there is not enough information and thus these rumors are baseless and unfounded. Yes, it is a challenge, especially now that I have three children — a 5-year-old and 3-year-old twins. Although it’s made the constant travel not as much fun, the children are really so great. As for how it has changed my perspective. His 9-year-old son Josef is also interested in music, and thus, plays the cello. Looks like, he is following his parent’s steps. Joshua Bell is where he is today because of his hard work, dedication, and compromises that he has made in his life. It seems like he will never have a wife in his life. But what do you guys think? Do you think he will change his mind and get married later? Let us know in the comments below.